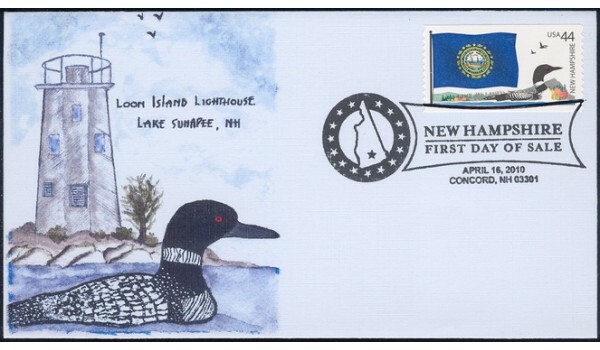 The image and location were selected by the artist to coordinate with the New Hampshire Flags of Our Nation Stamp. Research revealed a Loon Island lighthouse on Lake Sunapee, NH! The artist is particularly fond of loons, as evidenced by her logo. The image was hand-drawn and painted on 90# cold pressed watercolor paper, using transparent tube watercolors. Lettering was done with a fine tip permanent marking pen. 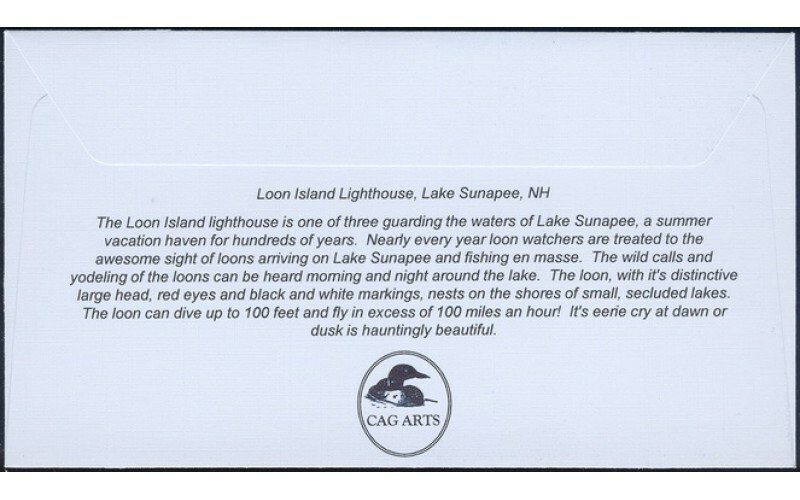 Text of Cachet, Back: Loon Island Lighthouse, Lake Sunapee, NH The Loon Island lighthouse is one of three guarding the waters of Lake Sunapee, a summer vacation haven for hundreds of years. 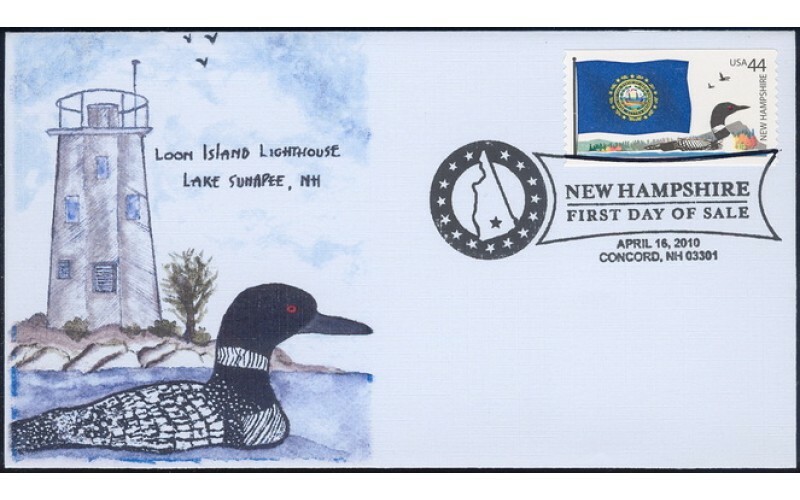 Nearly every year loon watchers are treated to the awesome sight of loons arriving on Lake Sunapee and fishing en masse. The wild calls and yodeling of the loons can be heard morning and night around the lake. The loon, with it's distinctive large head, red eyes and black and white markings, nests on the shores of small, secluded lakes. The loon can dive up to 100 feet and fly in excess of 100 miles an hour! It's eerie cry at dawn or dusk is hauntingly beautiful.